I am awful at making money but I am good at earning honours. Therefore I am fuelled by honours ... and here comes the list. Did I invent Jugger? Of course not. As you can read in the ⇒ What's that?, Jugger has been invented as a sport at two places in Germany separately, based on the movie. 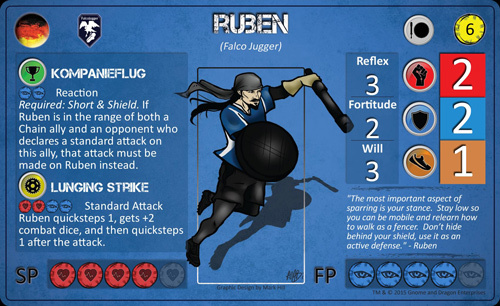 I am not even one of the oldest Juggers - I started just a couple of years before Jugger went right through the roof here in Germany, and started spreading like wildfire over other counrries like Costa Rica, Ireland and Spain. What I did, however, is to compile the current rules, history, Jugger locations, and international variants to the best of my knowledge and publish ⇒ the very first book on this unusual sport. I also started to do the Uhus Jugger Tutorials series, an instructional Youtube video playlist on Jugger playing and fencing techniques, including comments on rules and history. Have a look! And visit the facebook page if you like them. 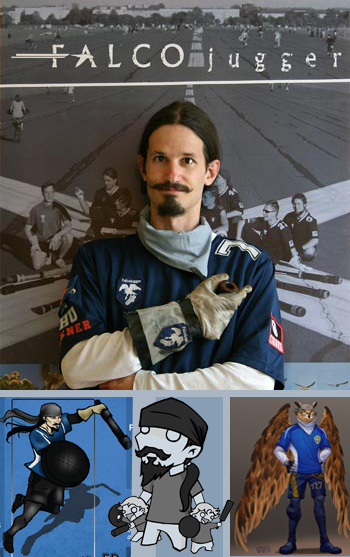 Besides that, I got a PhD in history and am a writer of novels and factbooks; I am captain of my team, the Berlin Laggerfalcons [Falco jugger], founded in fall/winter 2006, and was trainer of the Falcones44, a club for 9th grade pupils I founded at a nearby school in legendary Berlin-Neukölln. 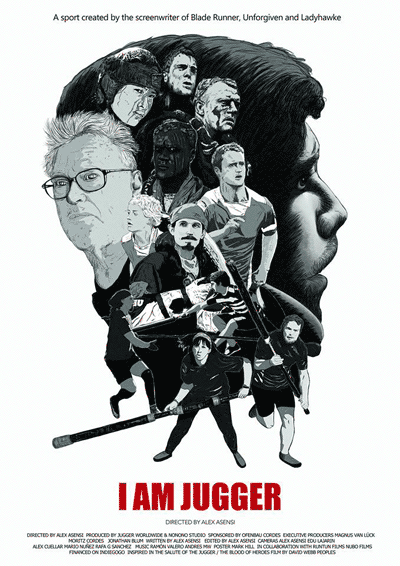 Currently, I am working on bringing Jugger to Sweden, and have founded the first Jugger team of the country, Järnboås Järnfalkar. I am honoured to be the chairman of the Swedish Jugger Association Svenska juggerförbundet, and am on my way to earn one of the scarce titles of a Juggermaster zero. I was honoured as Årets Järnboåsare 2014 and Årets Föreningsledare i Nora kommun 2017 (honorary titles as "Person of the Year" of the village of Järnboås, and of "Club Leader of the Year" of the Nora district). The first jugger tournaments on Swedish grounds Järnsvenskan, which I started and build up to small musik-Jugger festivals, were named by the fantastic Irish player Anne Marie as "#Rubenstock", a title that was confirmed by acclamation on the Järnsvenskan 2017 festival (proof is even shown in a feature on Jugger aired by the main Swedish TV station). Last but not least, I was the international co-ordinator of the 1. German Open in Berin 2008, the biggest German tournament, attended by 30 teams including Australia and Ireland; and chair of the first Juggerkonfabulation held there, a counsel of almost all German Jugger towns. Starting in 2015, I initiated and organized the Järnsvenskan festivals, which drew teams from Australia, the US, Latvia, Irland and Germany to the small village of Järnboås and beautiful Finnsjöstrand. I am still doing my best to gather all information about international teams and put them in contact with each other - I was even given the title of the "international co-ordinator" by the Australian Juggers somewhere in 2007/08, as well as the "sage and Jugger scribe". Cute! 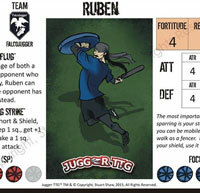 Oh and after Ann-Marie designed the fantastic Jugger TTG boardgame cards, Seamus suggested on facebook about the card on him "Ruben looks so amazingly swashbuckling, I want a series of movies where he duels on staircases, swings off chandeliers and rescues damsels". Well that's something one likes to hear is it!